We’re welcoming Calgarians to celebrate World Gorilla Day with us the weekend of September 23-24, 2017! 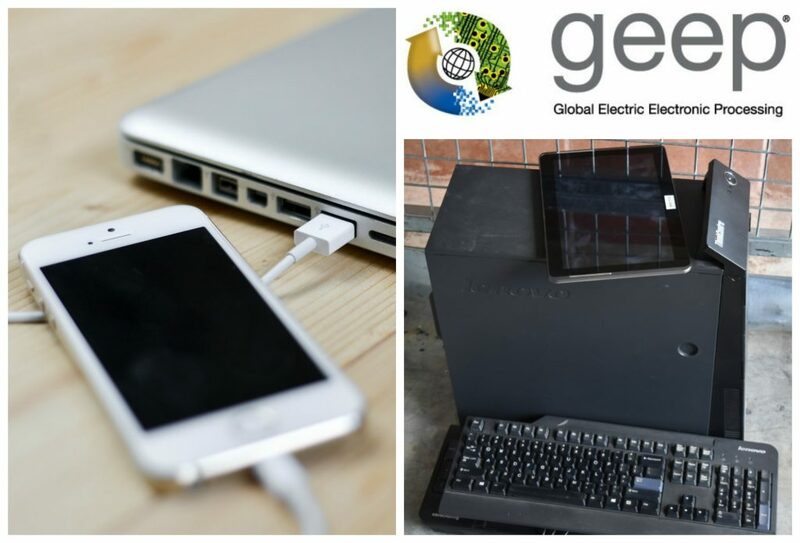 Working with Global Electric Electronic Processing or GEEP, the zoo is hosting a FREE two-day drop off event to collect unused electronics. 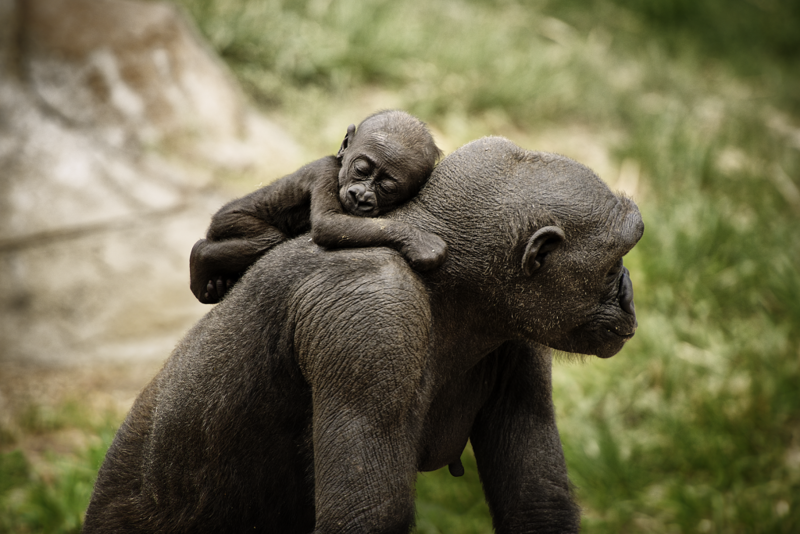 We are not so different from our fellow ape, the gorilla (we have less body hair…we think)! The plight of endangered species like the western lowland gorilla can get us down, but we’re turning a negative into a positive by celebrating these incredible species during World Gorilla day on September 24. Coltan is a mineral regularly used in the production of cell phones, but here’s the kicker- it’s mined in wild gorilla habitat. In order to decrease the rate in which humans mine coltan, we are making an effort to reuse and recycle old cell phones – and YOU can help us with that! The Calgary Zoo and our partners GEEP are onsite again for another e-waste collection event. So gather your unwanted, unused, broken electronics and bring them to the zoo to recycle. Kimani has started holding onto mom Kioja as she moves around the habitat. From Saturday, September 23 until Sunday, September 24, items such as computers, laptops, printers, cell phones and TVs will be accepted. All of the items brought in will be securely and responsibly recycled with no drop-off fee. Visitors can bring their items to the zoo’s North Parking Lot off St. George’s Drive between 9 a.m. and 4 p.m. and follow the signs to the drop-off location in the Big Cat Lot. A 30-minute grace period will be in place for those dropping off items. All electronic recycling will be completed safely and securely, so visitors don’t need to worry about the risk of submitting old personal items, like phones and laptops, as your data will be cleared. Did you know that aluminum from computer fans can be made into car parts? Did you know? 1 million recycled cell phones yield: 35,000 lbs. of copper, 770 lbs of silver and 75 lbs. of gold. Your actions this week can go a long way. To mark World Gorilla Day on Sunday, September 24, the Calgary Zoo is calling on all Calgarians to bring us their unused electronics. The zoo wants to set you up for success as an environmental ally. Whether you’re recycling cell phones, used electronics, or composting at home, every little bit helps. Did you know? Plastic from computer keyboards can be made into flower pots! Join in the World Gorilla Day celebrations on Sunday, September 24, 2017! Green practices help our wildlife- a small fee from the items recycled is reinvested into wildlife conservation efforts. Much like attending the zoo, recycling creates resources to make a difference in the lives of animals. Thank you for supporting wildlife conservation!